One thing all of you can do is go to the media…and the students have a right to know all of this as I am scheduled for discipline to commence for one year off without pay, next quarter so there was no reason to take me out of the classroom other than they were providing work, with my classes, for these adjuncts hired through the back door with no verification of credentials or vetting for competence by me and I was available. You can let people know who are in my classes now, particularly Economic Geography, what has gone on, that there are teachers unvetted, and find out how many signed up specifically for my classes. I am in a position of conscience, like a cook ordered to serve and cover-up the serving of uninspected meat and I have evidence some of the clients have been poisoned and harmed already. Students, even the ones who hate me, are not commodities, or numbers or “FTEs (full time enrollments) or revenue generators, but are, for me, real feeling, complex human beings trusting me and the college to not only be on our game but to care for them as real people with real needs. When people are drawn in for a specific product or service by advertising or posted schedules and have arranged their lives and schedules accordingly, that the vendor had no intention of delivering and was even taking active steps to ensure that that product or service would not be delivered, that is pure bait and switch fraud. If it involves a simple product like a car for which another replacement may be found at another place, that is not like an educational opportunity. When students are handed unvetted teachers, or perhaps some hired through the backdoor as a result of cronyism and nepotism, not only do students lose in terms of inadequate teaching and not getting what they paid for and need for their own lives and success, but they lose all the good that they could have gained if the vetted and credentialed teacher, for which many signed up specifically had been available. 7. That I took serious exception to the manner, and what I took to be disingenuous representations by Professor Hamideh (that I only teach 200 level courses and am not interested in or do not have a vested interest in econ 101 and how and by whom it is taught) that were employed as I was summarily dismissed by from vetting Mr. McCay; I took serious exception to Professors Adnan Hamideh and that John Fite, who had recruited then vetting him without one word or any documentation to me the Department Head of Economics; that I believe this to be real and very tangible forms of “personal and professional attack”, Blacklisting and intrigue by Professors Hamideh and Fite and all those supporting them. I took serious exception for the record, that Mr. McCay was hired not to teach econ 101 (as represented by Professor Hamideh) but economic geography 107 and that I informed you that I am the only person qualified to vet on economic geography and that in my professional opinion, Mr. McCay’s teaching economic geography 107 is a serious violation of the rights of students to qualified and vetted teachers as well as a summary denial, per se, of my basic rights to due process; I presented you with copies of all of my exchanges with Mr. McCay, Mr. Bayer and findings of the independent investigator on the complaint of Ms Atkinson all of which I believe speak directly to the question of the veracity and integrity of their representations of any interactions with me. 9. That I and or my representatives raised the fact Professor Hamideh, who teaches and has taught only econ 101, never once as division chair consulted me about John Fite teaching specialized courses such as economics and law, political economy, international economics, and other courses (all with low class loads of 20) or ask my opinion on what basis was he qualified to assert himself able to teach such courses (I have taught all of them), all of which have a direct bearing on my own teaching loads and responsibilities (I am teaching econ 201 and 202 because of the needs of the students and the institution and if anyone should and is qualified to be teaching specialized courses it is me); Professor Hamideh never consulted me about the number of courses we should offer, when and how balanced, undertook to change the text for econ 101 without my knowledge or being consulted (a text that I considered overpriced and an ideological polemic), and assigned adjuncts recently hired and unvetted, to draft outcomes assessments instruments for various economics courses without one reference to me and BEFORE the hearing on September 26th 2011—to determine the issue if or if not I would be off for one year without pay. Your valuable feedback is needed as we continue through this academic year. The Clark College Assessment Committee is continuing to work with the Business Division so that our programs and courses are in compliance with the accreditation board (NWCCU). Each course that you teach needs outcome and assessment review and monitoring. 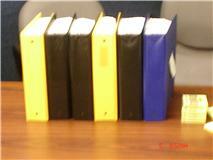 Patti and I have finished all the Business Division program outcomes for each certificate and degree. Those are available at Jennifer’s desk or can be sent to you electronically. Your help is needed to identify clearly your course outcomes and assessment(s). If you are teaching a class also taught by other business faculty, you will be contacted to collaborate with the other teachers in establishing common outcomes. This can be completed online. Although the outcomes need to be the same, assessment methods of these outcomes may differ. Attached is a format for this work that has been accepted and approved by the Assessment Committee and can serve as a model or a template. For accuracy, please review the amended course descriptions in the updated catalog which is available online. Below, please see the courses that we would like you to review. Some are individual courses, and some will need collaboration with other faculty members. Also, throughout the upcoming academic year, save copies of your students’ work as proof of not only meeting course and program outcomes but also as a basis for improving your courses and the programs. This work is extremely important and needs to be given the highest priority. The Business Division plans to complete the outcomes and the assessments for our courses by OCTOBER 15, 2011. Please contact me or any of the leading faculty members if you need any help. Please send your finished product to Jennifer Lee. 11. That I asserted to you and my AHE representatives that although I am represented by AHE, one of the most sacred and protected Constitutional rights is to have the capacity and be allowed to participate in or even conduct pro se one’s own defense (defendant knows things that representatives may not) and that our submissions include but are not limited to arguments advanced by AHE representatives. This is especially critical in that I noted the concept of “fruit of the poisoned tree” which is central to due process and equal protection/application of the law guaranteed by the Fifth and Fourteenth Amendments of the U.S. Constitution, the Clark College-AHE Contract, the Washington State Constitution and various RCWs cited to you in various documents submitted in the past. I advanced the argument that I do not stipulate ever, nor can AHE stipulate away my basic due process rights, whatever their own interests, that the predicates for higher levels of discipline (lower levels having been completed with full due process) do not exist since (and alluded to in your own letter): I was given a) a reprimand with no Laudermill, no appeals; b) 7 days off without pay, no Laudermill hearing, no appeals, while on sick leave, represented by AHE, with discipline arbitrarily imposed and timed to take me out of the classroom upon return with the result of a “taking” of scheduled overtime pay, and students who signed up for me as a teacher denied my services; c) 8 days off without pay, no Laudermill hearings, two levels of appeal, no arbitration; d) two quarters off without pay, arrangements made, replacements hired unvetted by me, the course schedule changed all BEFORE the one Laudermill hearing I got (I do not consider this hearing qualified to be considered a Laudermill hearing) to determine if or if not I would be teaching; e) as I noted to you, it has been reported to the proper authorities that Dr. Marcia Roi and Ms Lynn Davidson, acting in their official capacities, in formal proceedings using public resources on public business, gave sworn testimony—that directly contradicted the sworn testimony of President Robert Knight also acting in his official capacities in another official proceeding—that he said directly to Dr. Roi and Ms Davidson “Morale will improve here when we get rid of professor Craven” and that obviously someone committed perjury and perjury is a serious crime because it not only represents obstruction of justice per se, but also represents an attempt to hijack justice and the truth itself. I asked you a hypothetical that if someone had said or written that “America will be better off only when we ‘get rid of’ the president” would that get that person at least a visit from Secret Service wondering what “get rid of” means and how does such an alleged statement play for someone with some serious medical disabilities. I also noted to all of you that I considered this meeting and those present acting as any kind of fact-finders in a conflict of interest in their personal and professional relationships with the president who is mentioned in an existing request for a criminal investigation. 12. That I noted to you that I consider it my moral and legal duty, as a human being, educator and public servant, to write an open letter to those students who sacrificed, rearranged their schedules and even waited for me as their teacher to give my opinions and supporting evidence as to why I am not available to teach Fall 2011. 13. That I noted to you that as I was not given prior to the meeting, as called for in the Clark College-AHE Contract, the written formal complaint by Dr. Hamideh, written and signed by himself (not simply your representations of his complaint), during the meeting or given any idea of its form other than a complaint was made. The reason why people who are accused have a right to confront accusers and their accusations (denied to me serially in all cases at all levels of discipline) is that if the accuser is lying, the accused may be the best source of refutation with information that the investigators do not have and perhaps were denied by self-serving narratives of either the accuser or accused; accusations are not facts until established with full due process. Thus, I noted, there is no valid complaint and no cause to move forward unless something else is involved. I noted also to you that I take serious exception to having the sentence partially arranged first (taking me out of the classroom and “taking” scheduled overtime pay) BEFORE the summary verdict (in your letter you do not use the word alleged once) BEFORE the hearing, BEFORE serving of a formal complaint and ALL material to be used in fact-finding and forming a verdict BEFORE the presentation of any counter-argument BEFORE and determination of final charges and finding what is needed and proportionate to the charges; only in Alice and Wonderland and Nazi Germany do we get the sentence first then the verdict then the trial then what charges and “evidence” takes to support what is intended at trial. 14. That I noted to Dean Bowers, later reinforced by Lisa Lewison, that I followed protocols and went to him, early July 2011, with no union representative and no tape recorder, allowed his assistant to take copious notes, presented him with supporting evidence and documents for my assertions that I believe there were serious threats to the institution, my own programs and teaching, the rights and needs of students and that certain crimes may be occurring. I noted to him that I would be going to Thurston County Superior Court on an appeal matter related to unemployment benefits when I was off two quarters without pay where the issue of possible perjury in the contradictory testimonies under oath of Mr. Knight versus Dr. Roi and Ms Lewison will be explored. I noted that he had not mentioned when I met with him any complaint by Dr. Hamideh and never acknowledged in writing my discussion with him nor did he send me copies of the notes taken and what was understood that I said. I noted to him that I expect such an acknowledgment and copies of the notes taken by Heather King. 15. I noted to Dr. Rouk that I had also sent her my response to Shon Kraley’s plea for help as his hours had been cut (now he has some of mine) in favor of expanding Mr. Bayer and Ms. Atkinson’s hours of teaching and asked, but was not answered, if there was any nexus between that letter of August 29, 2011 and your own letter of September 1, 2011. 16. Why was your letter of September 1, 2011 sent to my home address when Clark College knows and has often used my official mailing address? The only other time mail was sent to my home address was December 23, 2009, while I was undergoing emergency heart surgery at Southwest Medical, 4 of the same letters, announcing my impending discipline, one registered one not, sent to my official mailing address that Clark College had often used and two, one registered, one not, sent to my home address to arrive on Christmas Eve December 24th. This was taken even by Mr. Stephson as serious indicia of some serious malice and animus on the part of whomever ordered the sending of those letters and to my home while I was in serious medical trouble. These are my fresh recollections with clarifying addenda from previous submissions in the possession of Clark College, supported by review of my tapes of the arguments advanced. Please confirm or rebut any of my recollections in writing and do so within three days of receipt of this official request as you have given about one week for some kind of decision while I do not accept and protest, in this submission, and please note this, your authority and standing to act as someone who has already expressed in your letter of pre-determined discipline of three quarters off without pay, prior to one word of rebuttal from me, unspecified allegations of Dr. Hamideh, with no formal complaint given to me prior to the meeting (when I am represented by AHE, I am supposed to get ALL that AHE gets including any formal complaints as AHE is not the U.S. mail), with only a few sentences taken out of a totality of communications and contexts, and with what are, in your grammar and syntax, conclusions and a verdict already established, and discipline prescribed and arranged, BEFORE the meeting. That means that again, you are acting as judge of your own charges or charges you believe to be warranted but will not specify, and assessor of discipline; and, I presume, appeal authority on stages I and II of any appeals to what appears to be a foregone conclusion before the meeting. Thank you for your consideration of this extremely time-sensitive matter. If you wish to rebut either my recollections of my submissions and arguments, or my own assertions and arguments themselves please do so in writing and by September 30, 2011. It looks like Atkinson has been given full time status for at least Fall term, while I have not. In fact, Bayer has more credits than I do. If there is anything you can do with the new dean, I would very much appreciate it. Thanks for the note and do you see any problem in that I as head of the department was told nothing about any of this? I am referring this to personnel and the union as I had no idea of any of your situation. Yes, I not only will try to do something about this but I am doing something about this on the legal front and I do not mean just civil law. This is outrageous and a total contempt and disservice to the students. Mr. Bayer, who once told John Fite “I do not want anything to do with that Indian guy”, who does not have even a bachelor’s degree in economics, I have never met, along with Mr. Newman, Ms Foreman, Mr. Bailey. This is an agency of the Government of the State of Washington, it is not the Rotary, a country club, a favor factory or recruiting agency for backroom cults and cabals, and it is a crime, called Trading in Public Employment and Conspiracy to trade in Public Employment, to use public resources and jobs as favors or as rewards for services rendered–e.g. filing complaints against a targeted person–for friendships, for relatives, or for networking or any personal advantages. There is one and only one person qualified to vet new adjuncts and that is me–not John Fite whose MA in Economics is from the early 1970s and who never worked as an economist, never taught economics prior to coming to Clark College, and never published anything in economics or worked with the new changes in economic theory and pedagogy in the over thirty years that there have been changes in economics. John, according to his own words, found the one person who would give him credit for the teaching that goes on in a cockpit in the military and in commercial aviation; but with the understanding that there was a whole lot he had missed in the over thirty years since his Masters degree in Economics and that I would mentor him and that he understood how little he knew and how inexperienced he was as an economist and teacher of economics. Further, if we get litigation by students who feel that they were shortchanged and not handed fully-qualified teachers (Econ 201 and 202 are universal transfer courses that are mandated to have some standardization and comparable content and pedagogy for transferability), imagine how all of this will play in a court of law when it comes out that we have had a bunch of adjuncts hired and allowed to teach, hired outside of established procedures for hiring and documentation of credentials and experience without ever having even met the head of economics and at the time in some cases, the division chair at the time. Further, at my arbitration hearing, both Marcia Roi and Lynn Davidson swore, under penalty of perjury, that Bob Knight said to them “We will have no morale problem here when we get rid of Professor Craven” whereas Bob Knight swore under penalty of perjury at my Employment Security Department appeal hearing, that he never made such a statement to them, and, that when asked about this alleged statement, in two separate hearings, with one of the women present who made the allegation about his statement present, refused to deny it on record only because, he testified, he was there to ask not answer questions. So someone, acting in their official capacity, in official government proceedings, committed perjury. All of that will be explored in Thurston County Superior Court and in other venues with other agencies of the Washington State and Federal Governments. Perjury is very serious business as in Illinois, 13 people on death row, one 45 minutes away from execution, all found later to be absolutely innocent, wound up on death row due to perjury and prosecutorial misconduct. Someone who commits perjury, especially in conjunction with official duties in public employment, is not only attempting to obstruct justice but to steal it. Imagine, in what country, is it possible for someone to be charged with offenses and then investigated and found guilty by those who made the charges and/or recruited others to make them; then a verdict is given, arrangements are made to hire replacements, the course schedule is changed with my name deleted from my courses for which many students signed up specifically for me as a teacher, all PRIOR to the one Laudermill hearing, [conducted by those who charged me] that I got, to determine if I would or would not be teaching; then the sentence of 108 days off without pay immediately imposed prior to any pending appeal hearings (it was clear how they would go) and PRIOR to arbitration (how could I and my family have been “made whole” if we had won the arbitration?). It is also a crime to make false statements while on the job in public employment. Further, you are the only adjunct fully and properly vetted by me and even John Fite has never been fully vetted as I have never seen him teach whereas he has seen me teach a whole course and I have seen you teach and have vetted you twice. I was not even allowed on campus to vote in person on his tenure, and I came very close to voting no on his tenure out of professional responsibility (I voted yes because he was in a situation not under his control). Further, Adnan, in the presence of John Fite and Gerry Smith, said to all of us “You know it is ‘ironic’ [not a word I would use] that the areas in which I am teaching–statistics, accounting and economics–are the subjects I had the least interest in and barely passed with Cs in my MBA program”. Had I known that long ago I would have opposed and will oppose his teaching any economics at any level as this is the kind of statement and reflects an attitude that in my opinion no real educator or someone worthy of being called an educator. I do not want to cause you any hardships more than you and your family have suffered, but this has to go to personnel, to the union and to the new Dean. Transparency is coming to Clark College I promise you and this will all be made public as well as the students have rights to critical information in their own market-based decisions and with the scarce resources that many have to deal with. This entry was posted in Clark College. Bookmark the permalink.